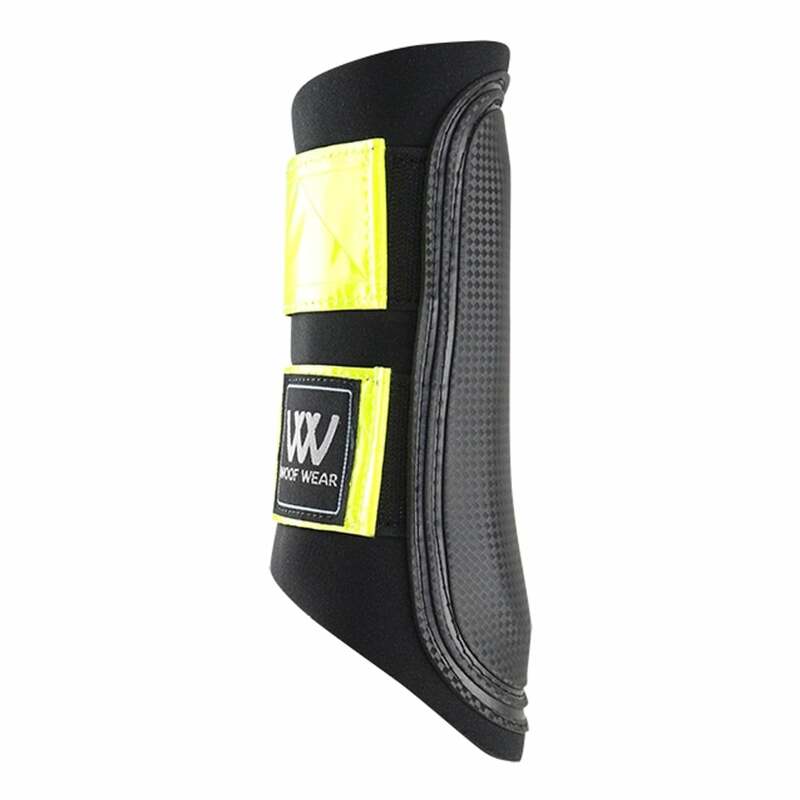 The Woof Wear Reflective Club Brushing Boot is based on the popular Club Range with the added benefit of high visibility 3M Straps to ensure safety and visibility during road work. 3M pioneered the use of glass beads in the manufacture of reflective tape for high visibility clothing, and have continued to develop the technology for over 50 years. As a result, they can offer an unrivalled range of reflective tape, incorporating both glass bead and prismatic technologies. 3M use a technology known as retro reflection. Retro reflection occurs when light rays are returned in the direction from which they came, ensuring high visibility of horse/rider when on the road. Club Brushing Boots are made from 5.5mm neoprene that's light and flexible even when wet as water is not retained. The hard wearing strike pad prevents bruising due to brushing.